Healthy companies require healthy and efficient employees. As our professional partner for preventive and rehabilitation medicine, the expert specialists working at the Listbogen Specialist Medical Center offer you a very wide range of specialist medical treatments and services. Medical professionals at the centre work in close proximity with their colleagues, which facilitates smooth interdisciplinary coordination and does away with tiresome duplicate testing. Our members also now benefit from close cooperation between the Listbogen Specialist Medical Center and the nearby Matthias Sport Center. 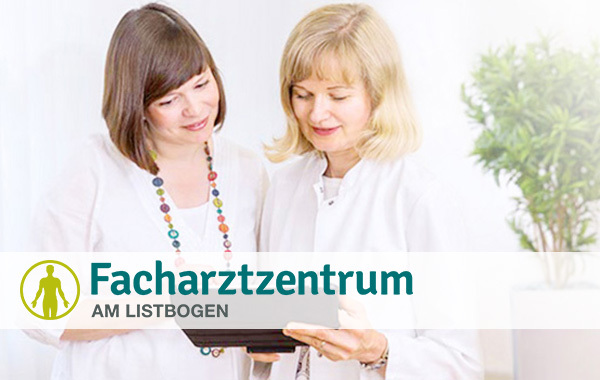 MCS members have only to present their membership cards to enjoy special conditions for medical treatment at the Listbogen Specialist Medical Center. In the future, a company will not only achieve competitive advantages trough the development of newer and better technologies. More important will be the human resources. A “healthy company” is without doubt the better company. Benefit from the company fitness offers of the Matthias Sport Center. The size of your company is not important to us. We are a competent contact for any questions in relation to occupational health management for both small medium-sized enterprises and big concerns. As a leading health provider in Leipzig, the Matthias Sport Center has already been cooperating successfully with several companies. We support employees in achieving healthier lifestyles. Our offers include fitness and nutritional counselling, fitness and ergonomics at the workplace as well as spa services. We will compile an all-inclusive package for your company, from an initial assessment to a sustainable support and realisation of implementation measures. Companies which invest in health promotion in a professional way achieve measurable results. Have we aroused your interest? Please do not hesitate to contact us for information about corporate health management and business cooperation.Just use the following contact form or send an e-mail to gesundheitsmanagement@msc-leipzig.de. Use of given information for advertising purposes allowed I agree that the Matthias Sport Center is allowed to use my given information for advertising purposes (by telephone, fax and/or e-mail) for products and services dealing with subjects as health, fitness and spa. This agreement can be cancelled at any time! Ihre personenbezogenen Daten, die Sie uns im Rahmen dieser Kontaktanfrage freiwillig zur Verfügung stellen, werden nur für die Beantwortung Ihrer Anfrage bzw. Kontaktaufnahme und für die damit verbundene technische Administration verwendet. Eine Weitergabe an Dritte findet nicht statt. Für weitere Informationen lesen Sie unsere Datenschutzerklärung. Die Datenübermittlung per E-Mail ist unverschlüsselt.